I'm sorry The Walking Dead, I misjudged you. Zombies are my least favourite undead-type by a country mile, and I thought your text heavy, QTE ways would bore me rigid. As it turns out, I was dead wrong. 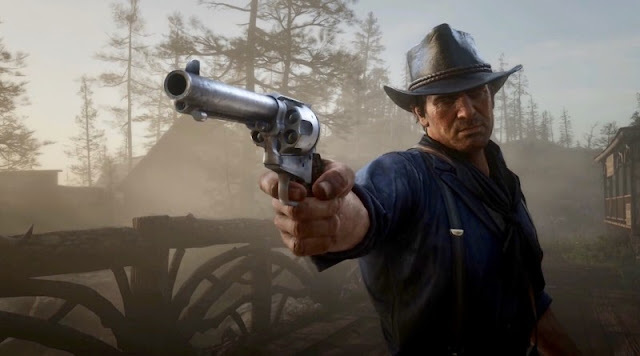 I spent the last week playing through all five episodes and can’t remember the last time I was so engrossed in a video game narrative and cared this much for the characters featured within. TWD boasts an outstanding ensemble, but it’s the relationship between protagonist Lee and a young girl in search of her parents, Clementine, that really stood out. Time sensitive dilemmas and dialogue options brought out the best (selfless sacrifice) and worst in me (meat locker, pre-emptive noggin smashing), as I looked to protect favoured characters whilst plotting the demise of anyone who looked at me funny. The first two episodes are sublime, but it took a dive through parts three and four, before picking up again for the fifth and final episode. I enjoyed the art style, which allowed Telltale to get away with some truly gruesome scenes, and was fortunate enough to avoid technical hiccups altogether. Roll on season two! Thanks to a discounted subscription fee - £20 for a year - I have finally joined PlayStation Plus. Although I never doubted its value, Sony’s premium service never quite suited my circumstances and gaming habits. If I really want to play something, chances are I’ll have done so long before it appears on PS+. There are always plenty of other interesting games on offer, but unfortunately I only have time for the games that I really, really want to play. The discounts and cloud save functions had piqued my interest, but they alone could not justify a £40 fee. Twenty pounds, however, is a different matter. Having already suffered through one PS3 meltdown and the heartbreak of lost saves, the first thing I did after redeeming my code was back up any files worth protecting to the magical cloud. I have already made use of PS+ exclusive discounts, buying the first season of The Walking Dead for a relative pittance, though I have yet to decide which tasteless dynamic theme I want on my dashboard. As for the free games, Joe Danger 2 is the only title from March-April that I really wanted to play, though I have taken the opportunity to download Dead or Alive 5 - the breasts were amusing for five minutes, but that's the extent of it - and also Okami HD, which I might eventually get around to playing. I’ve yet to see a worthwhile Vita game appear that I don't already own, which I'm sure will be a recurring theme for the portable version of PS+. Still, between the discounts, cloud and the occasional free game, I'm sure it will prove excellent value at just twenty quid. Eye patches, spirit whales, cutting-edge visuals and bandaged fake-Swedes - it must be the reveal for Metal Gear Solid 5! Kojima and co. officially unveiled Metal Gear Solid 5: The Phantom Pain at GDC alongside their new, much-hyped Fox Engine. To no one's surprise, The Phantom Pain is in fact MGS5. Ground Zeroes well serve as a prologue, though I'm still not entirely clear on whether they are two separate games, or two halves of the same experience. We once again find ourselves in the shoes of Big Boss. The trailer included the fall of Mother Base, the oil rig fortress from 2010's Peace Walker, which sees our hero fall into a nine year coma from which he awakes minus an arm but with mullet still intact. The visuals looked very next gen, yet the trailer featured the PS3 and 360 logos, so who knows; I'm sure Konami simply forgot to mention the Wii U. Assuming that Kojima isn't just trolling, it's unfortunate that David Hayter will not reprise his role as Big Boss/Snake. However, I can appreciate the need to bring a different voice to the role and further differentiate between father and son, especially if the series continues its trajectory towards the events depicted in Metal Gear and MG2, which featured both men in leading roles, supported by timeless characters like Shoot Gunner, Machine Gun Kid and Arnold. No other series gets me quite as excited as Metal Gear Solid, and I'm already looking forward to E3 for further details and perhaps even a release date. If it is running on next gen hardware, we might have to wait a while for MGS5, but if it’s bound for the PS3/360 then perhaps we'll be playing it sooner rather than later. Last week, Yoichi Wada stepped down as President of Square Enix after twelve eventful years. He oversaw the merger with Enix back in 2003 as well as the acquisitions of Taito and Eidos in later years. He looked to Western developed games for inspiration and, during his time in charge, Square's headline franchise, Final Fantasy, suffered a dip in quality and profitability. The cost of AAA titles continued to spiral under his watch - Tomb Raider underperformed, despite shifting 3.4 million copies in its opening weeks - while SE continues to post significant losses. As with much of the industry, mobile games have become a vital part of SE's portfolio, with comparatively expensive ports of older titles leading the charge. The last twelve years have been a mixed bag for Square Enix, and it must now tread carefully in this transitional period. Looking to the immediate future, it’s vital that SE make a real go of Final Fantasy XIV. This is their second attempt and their success or failure here will have a knock-on effect on the future of Final Fantasy and prove whether or not they can deliver a high quality, multi-platform title. SE has an outstanding back catalogue, and I can't blame them for wanting to mine it for HD transfers, mobile ports etc. In fact, I would absolutely encourage them to do so. However, under no circumstances should they waste time and resources on a Final Fantasy VII remake or upgrade. Besides the problems it would present stylistically and thematically, a return to FFVII would be an admission that they have failed to match the highs of a sixteen year old game, a concern that creative directors have expressed in the past, and would cause the series to stagnate further. In this instance, you are better off emotionally blackmailing and teasing fans than actually giving the moaners what they think they want. Treat them mean and keep them keen I say, although re-releasing FFX-2 is probably going a bit too far. The golden days of Square are a thing of the past, but it has too much talent, experience and valuable a portfolio to just waste away. I hope Square Enix manages to find its way before it is too late, be it via Final Fantasy or something completely different. I told you Walking Dead was great. Can't wait for season 2 either. I'm jealous that you got Okami HD also. All we got was Demon's Souls and after losing all my souls because some random dragon came out of nowhere and killed me with one hit, I remembered why I hate that game. You did indeed. I really enjoyed playing TWD episodes one after another and not having to wait between installments. I might approach S2 in the same way. I played a bit of Okami back on the PS2 but didn't really take to it. I'll definitely give it another look now. Absolutely! Part of me wants to experience MGS5 on next gen hardware, but I wouldn't complain if it came out this year on current gen machines. I wish I could get into The Walking Dead. I really do enjoy the story and as a fan of the comics, I think it does a good job of representing that world. The gameplay just kind of bores me though. I've been told to treat it like an interactive TV show, but that is not really what I'm looking for when I sit down to play a game. I need to give it another go though. I'm midway through Episode 2 and it might be a good time to get the episodes I'm missing with the discounts on Plus. Welcome to Playstation Plus. The "Cloud" has already saved me once, and the free games and discounts are cool. Okami is a great game, but the intro is horrifically slow. It also goes on for an extra 10 hours it doesn't need... Still a good game. I hope Square can recover from this. Even with all the mistakes they made with XIII, it was still a well made game. 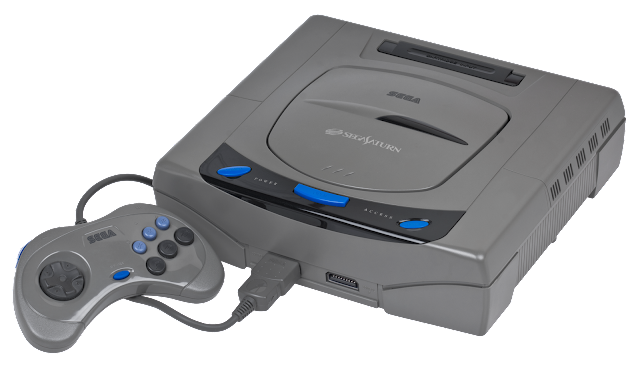 This generation of consoles really seemed to hit Japanese developers hard. I love Mass Effect and Skyrim as much as the next guy, but I need some Japanese RPGs too. My 3DS XL and PSP have me covered there, but I'd still like to see some AAA ones on my home consoles. Let's hope they get their act together soon. I can't speak to Retro City Rampage, but you definitely need to play Walking Dead and Tokyo Jungle. Two very different, but very entertaining games. I couldn't fault the production values of FFXIII, it was just everything else that felt off! I'm still really looking forward to XIV though, and seeing what direction SE takes with XV.